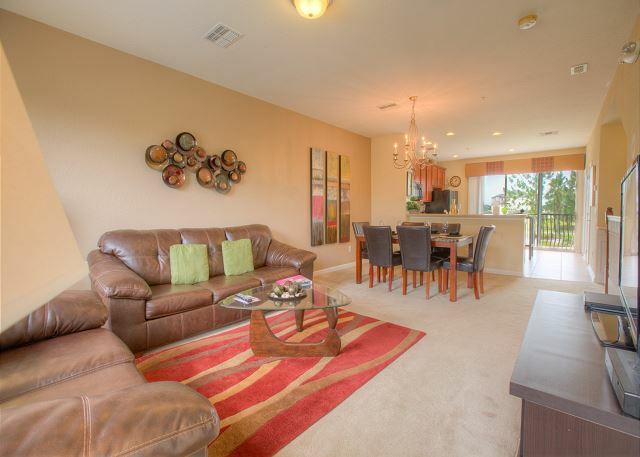 When you walk into this unit, you're greeted by plush carpet and sumptuous leather furniture. The large dining area and fully-stocked gourmet kitchen means you'll never have to leave for meals - unless you want to! 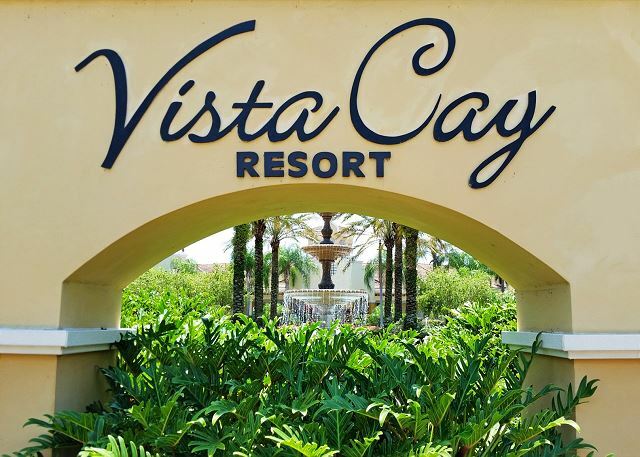 With warm, modern decor with a tropical flair, you and your guests will enjoy all the amenities that Vista Cay has to offer. 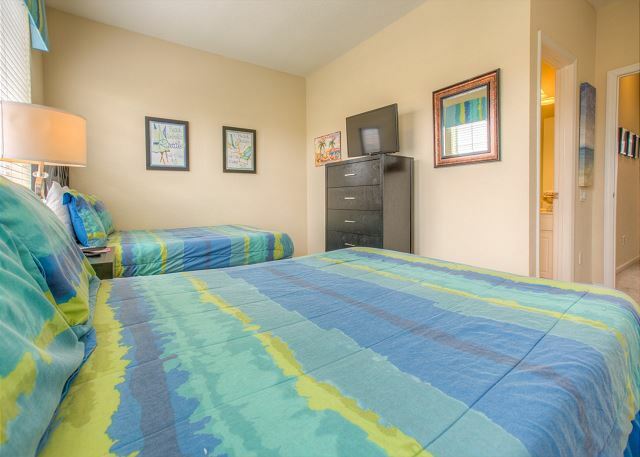 The master suite features a king bed, the second bedroom also houses a king bed and the third bedroom has two full beds, perfect for kids or teenagers. A sleeper sofa in the living room makes that this home sleeps up to 10 guests. "Our time at Summer Breeze was fantastic. We loved the location and the space. We would definitely stay there again though the kitchen stand to be a little better stocked with pots, pans, etc." "The house was perfect for our needs. It needed a little TLC in some spaces but it also allowed us to stay more comfortably as it felt more like home. The property was great and the kids loved the pool. It was conveniently located near enough to the Disney parks without feeling so congested. We did have an issue with the shower door and toilet upon arriving but it was quickly fixed by the friendly maintenance people. The coffee machine did not work and was replaced but the new one was cracked fresh out of the box. Overall, it met our needs and we would be happy to return. " 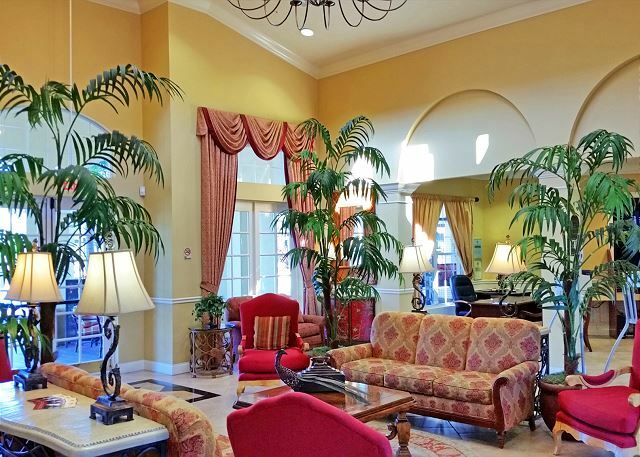 "love it home away from home, great location.very efficient staff,will be there next year." "First, let me say that I rented this unit on Expedia and it was non-refundable and the full rental amount was charged IMMEDIATELY!!! That was troublesome. I would not rent a condo on Expedia again. However, the unit was lovely. 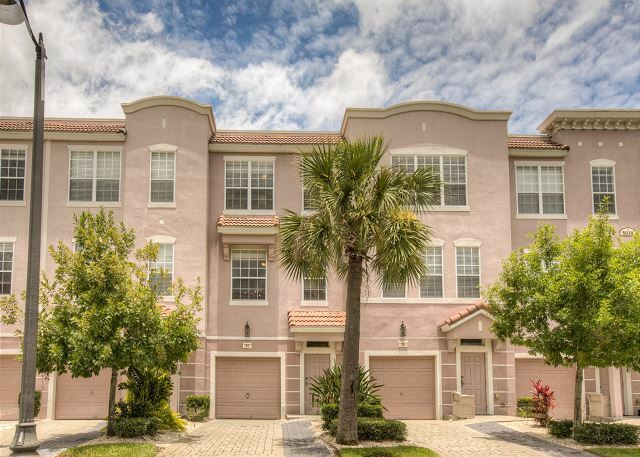 3 bedroom 3.5 bath townhouse. We had our own driveway. 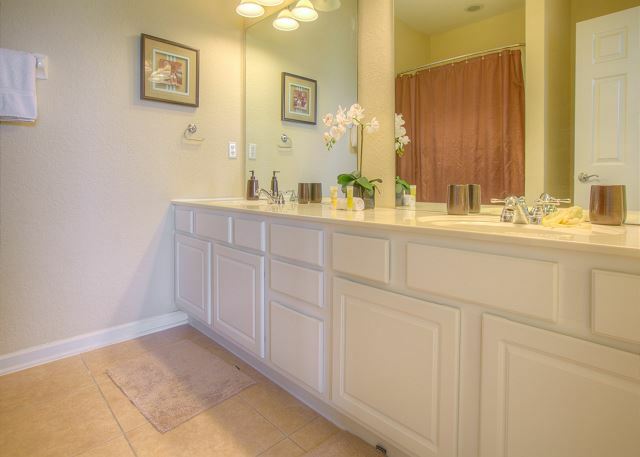 The lower bathroom was poorly conceived: No counter space at all, no towel bar in the shower. So we had no where to put our toiletries. Nicely decorated. But the beds in one of the upstairs bedrooms were both broken down in the middle." 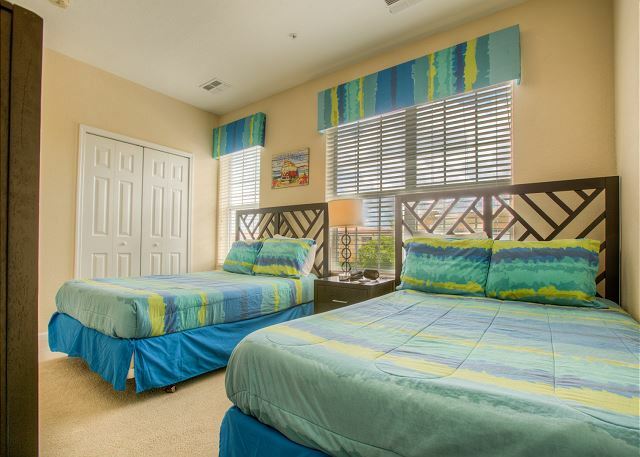 "Our accommodation was excellent could not fault it spacious clean bright ideas for family vacation"
"This was our first vacation as a whole family we enjoyed the stay I can't complain the location was perfect the townhome was beautiful a few dings but still beautiful we would love to vacation here again"
"Great place. 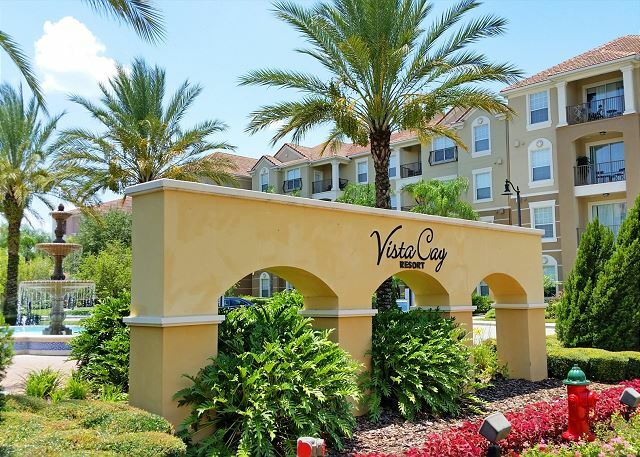 Management was very helpful and property amnenities were great"
"I've rented units several times from Vista Cay and this was by far the best unit ever. 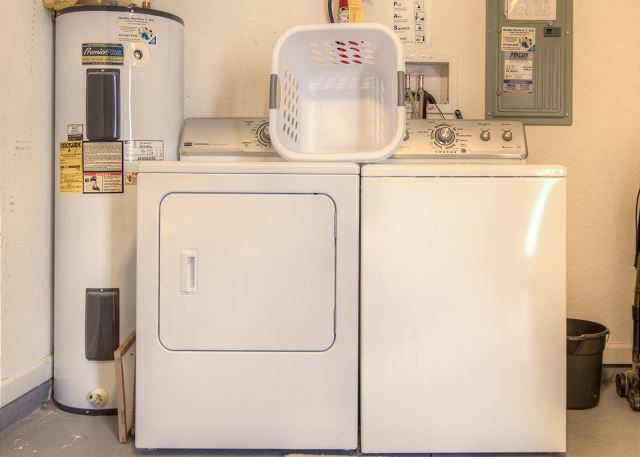 It was clean, updated, and unlike prior times where I had to call and request items such as ironing board, trash can, or a pit large enough to cook for a large family, this unit had EVERYTHING and then some. I will definitely do business with Casiola again. " 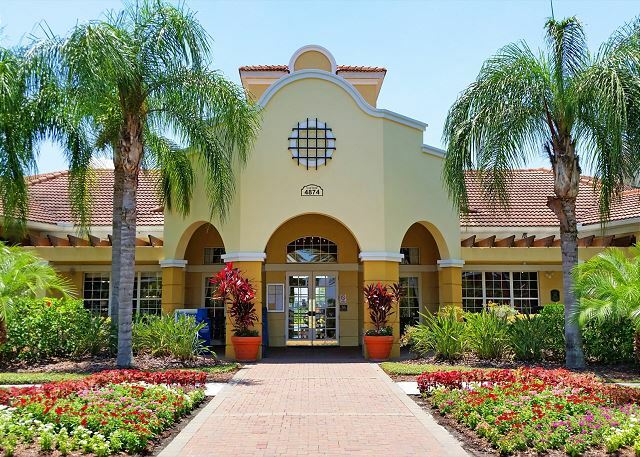 "Great place to stay,I only have a few complaints The a/c doesn't work well for a 3 story cold in the middle hot upstairs, and parking ,I had 2 vehicles ( suvs ) had to park all the way across the complex . The beds are very uncomfortable,cheap hard mattress( no fitted sheets on master bed ). Other than that it was clean ,convenient,and a good price. I know I had the few complaints but all in all a good stay. No one bothers you ,you enjoy your vacation at your leisure." 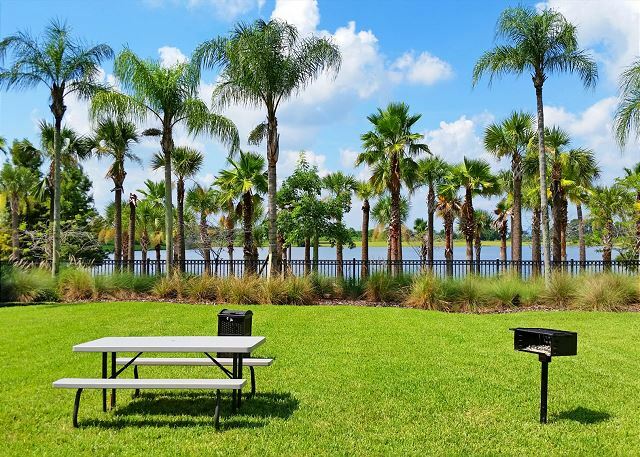 "We rented the Summer Breeze property for spring break and had a great experience. They let us check in early and our place was very clean and comfy! The kids all had their own bed and it was great to have the nice kitchen and 3.5 baths! " 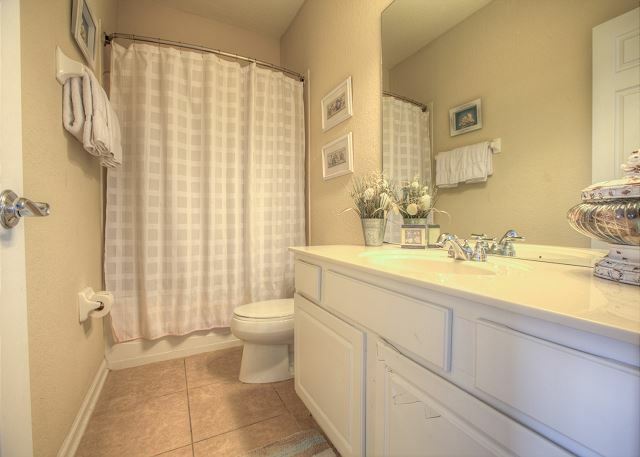 "This rental was laid out very well for our family of 6 and my mother in law. We were close to Disney (15 min) and right on top of Universal Studios. The closest beach was 1 hr away and there is a grocery store across the street!! 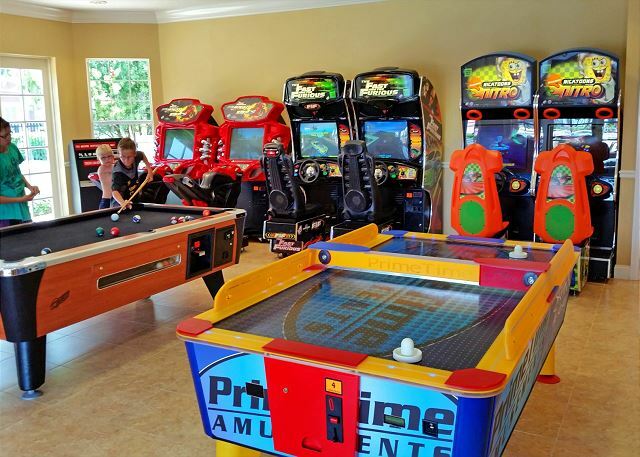 A great location for our family that has multiple age groups (7-15). Everyone had their own space and we were not on top of each other. This rental was very clean with the exception of the carpet. It was in very poor shape and needs replacing very badly (I cringed when my 7 year old sat on the carpet). The rental also had a few quirks (the light in the garage, fridge was not in the best of shape). Overall it was a pleasant stay and we would like the carpet to be updated for us to stay again and/or recommend it to a friend. " "La estancia fue muy buena y cumplió todas las expectativas, muy recomendable para vacacionar." "Condo was very noisy with the outside traffic. Master upstairs bed very uncomfortable. Besides those two things everything else was good." 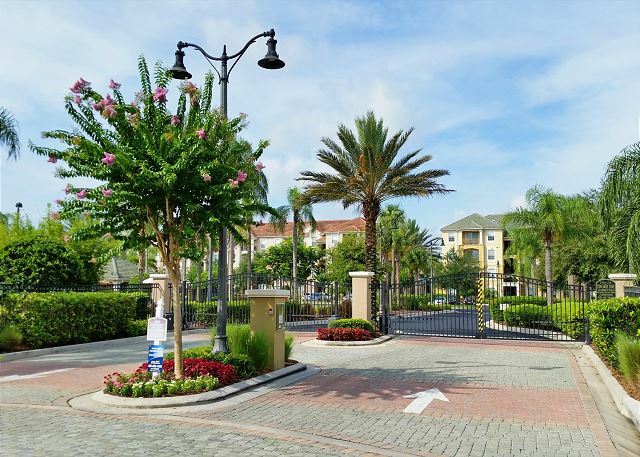 "Lovely townhouse - clean, well equipped, nice complex with swimming pool and snack bar. 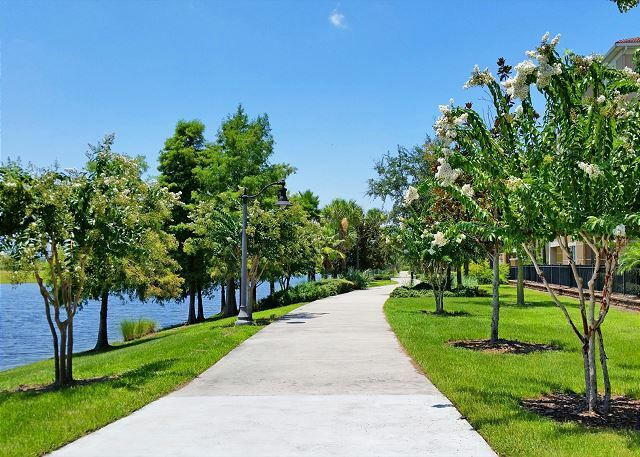 Close to shopping and other attractions. Great management - we got all of the information that we needed a few days before arrival, and everyone in our group enjoyed our stay very much. 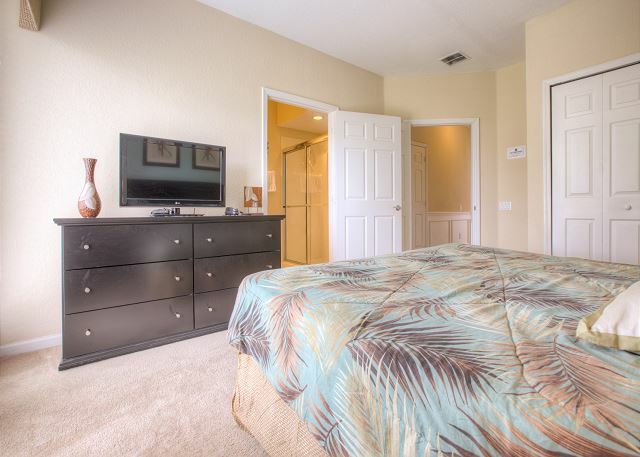 Very reasonably priced for this location and a nice comfortable home away from home!" 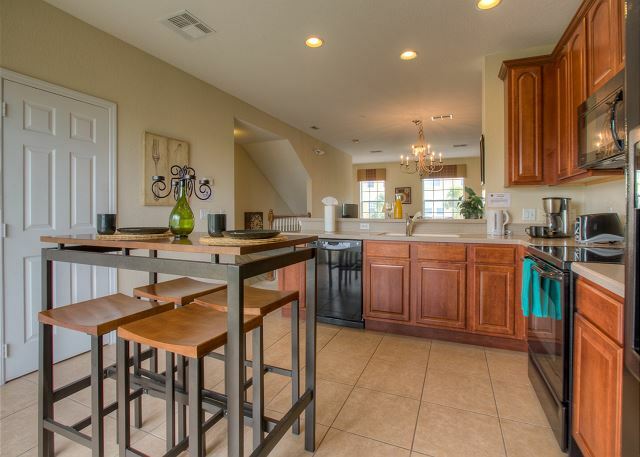 townhouse was exactly what we needed." "The home was clean and in pretty good condition. However, there were a few things which could have been better. Stall shower needs a safety mat...floor is very slippery, nearly fell. Hold bars would be helpful. No place to put anything in the downstairs bathroom...even a little shelf for toilet articles, pills, toothbrushes, etc. etc. would help. Upstairs, two bedrooms, mattresses very uncomfortable. An extra roll of toilet paper in each bathroom would also be nice. Toaster was bad...could be replaced (4 slice would be better). Refrigerator door needs adjustment..if not slammed, it stays open." 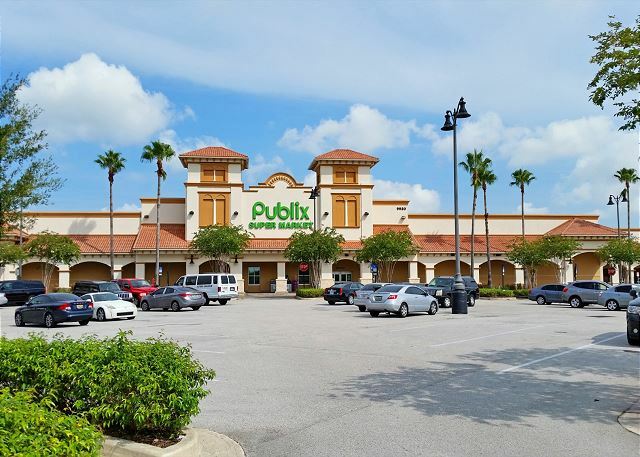 "Vista Cay is a great location for getting to a variety of activities and shops in Orlando. 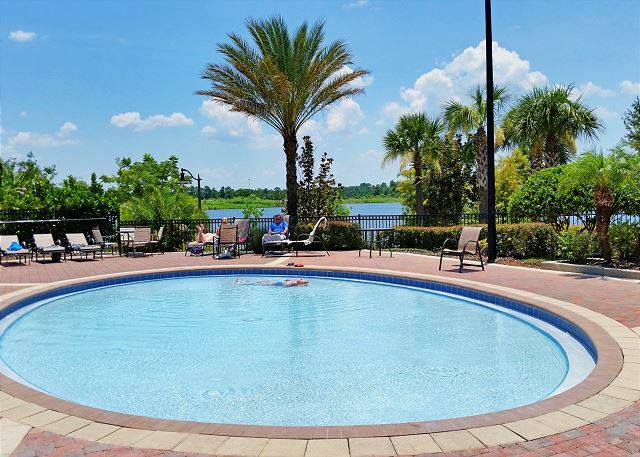 The community is quiet and Summer Breeze is very comfortable and roomy for a family vacation." "it was very clean there was lots of space loved it i go there again soon"